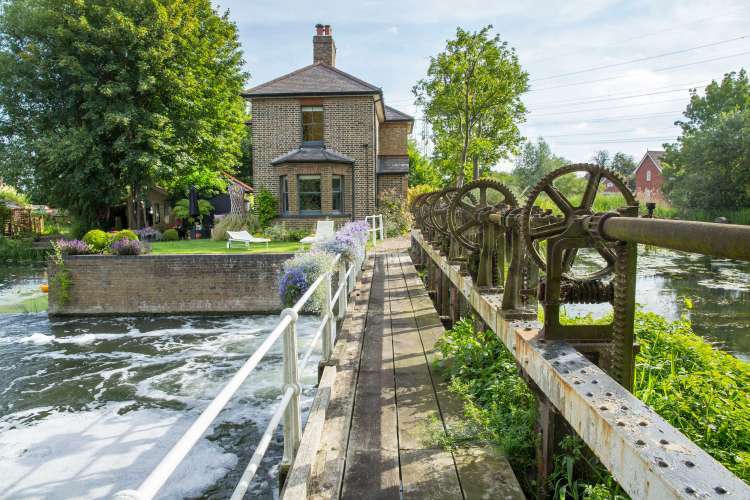 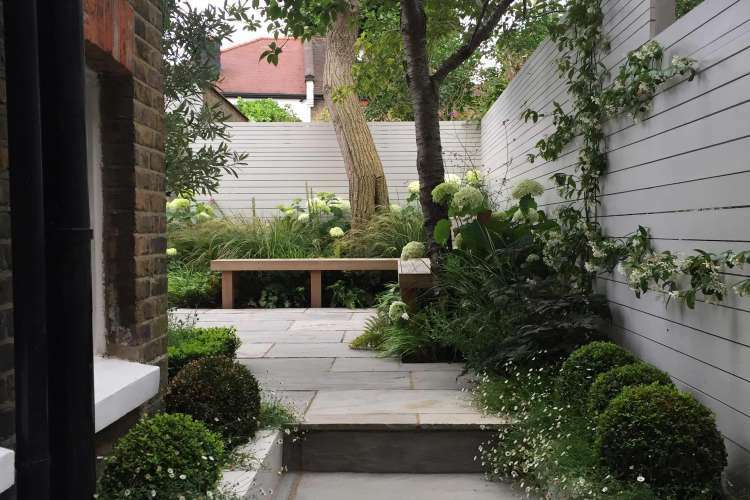 Our clients were in the process of renovating a substantial Grade II listed Georgian house and asked us to produce a design for the generous garden area that had become overgrown and was being used for storage of building materials. 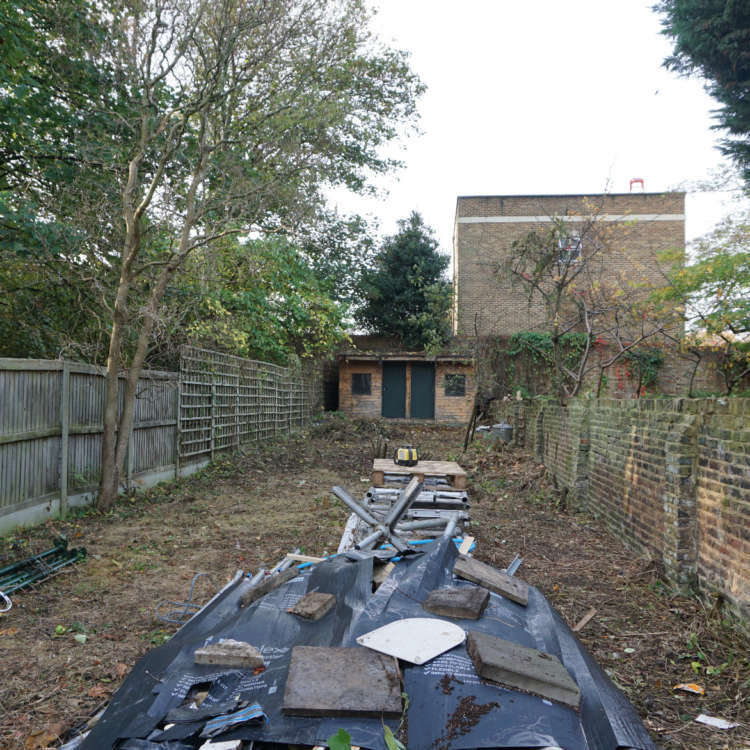 The clients have a young family of energetic boys and the brief was to utilise the space to allow play, exploring and an opportunity for everyone to try growing their own fruit and vegetables. 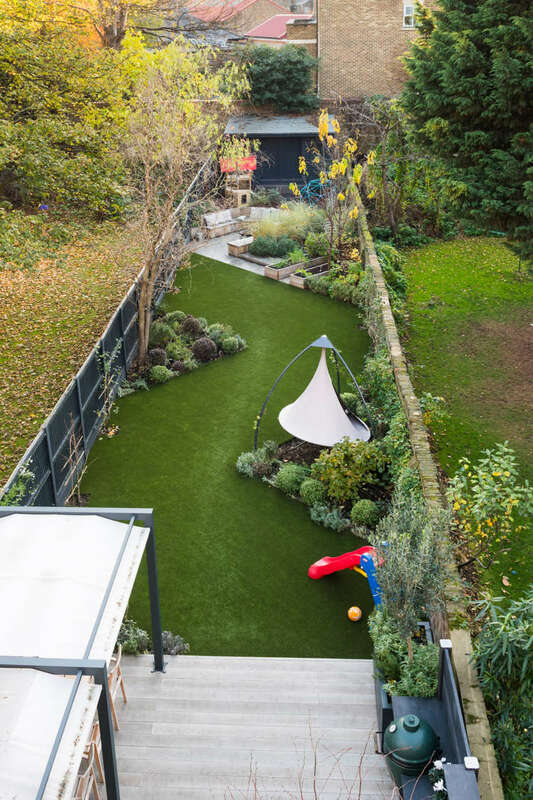 A large lawn was a must for ball games and running around however, this needed to be paired with carefully considered, non-toxic plants that could withstand the odd miscalculation of a penalty shoot out. 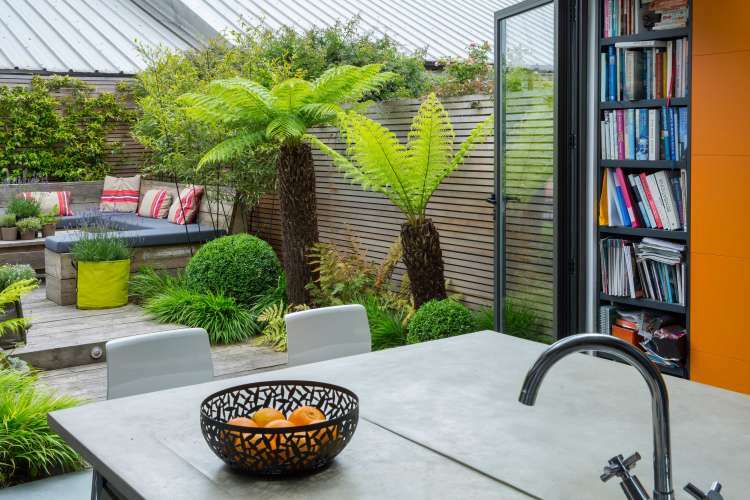 A larger than usual dining area was required to entertain and host friends and family, with a sufficiently equipped outdoor kitchen. 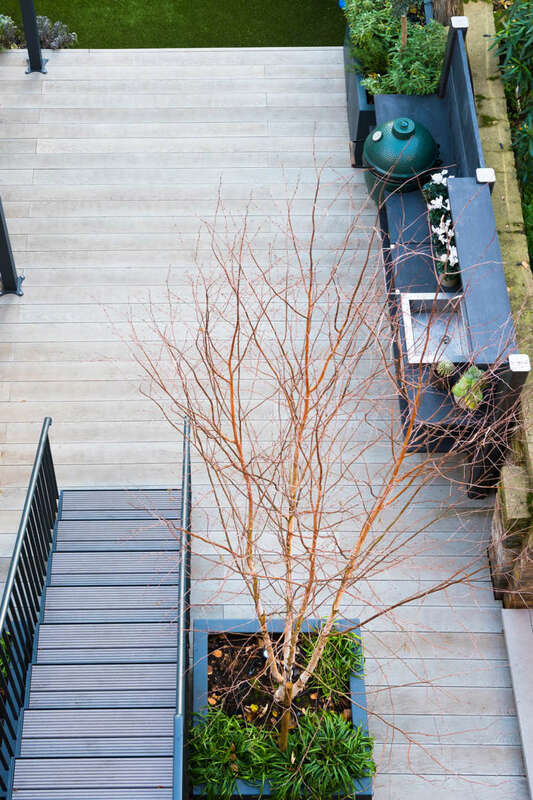 The garden would be viewed directly from the elevated kitchen and dining area so year round interest and structure was a must with interesting lighting. 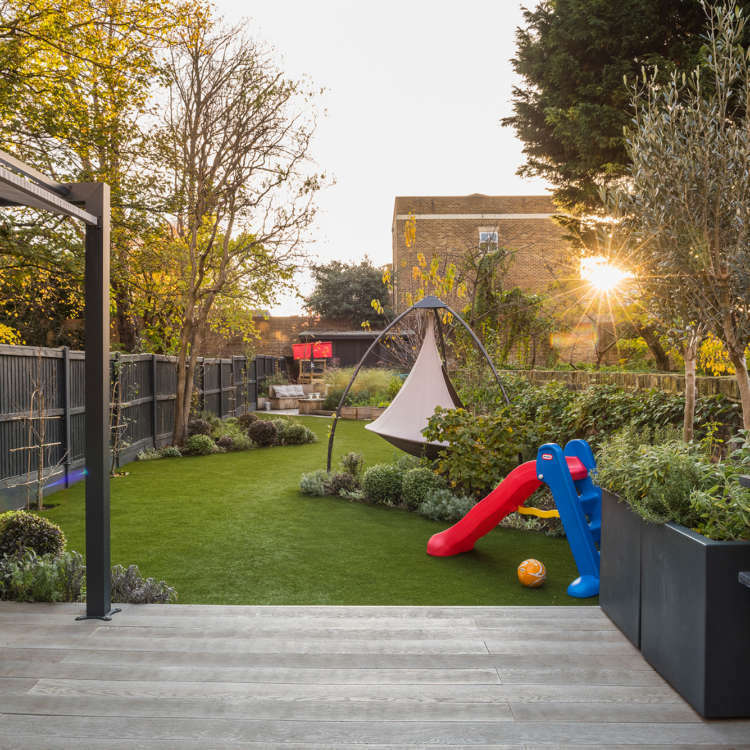 The garden was designed with the overall layout defining three key areas, the outdoor kitchen and dining area, open lawn and at the rear of the garden the more adventurous play area. 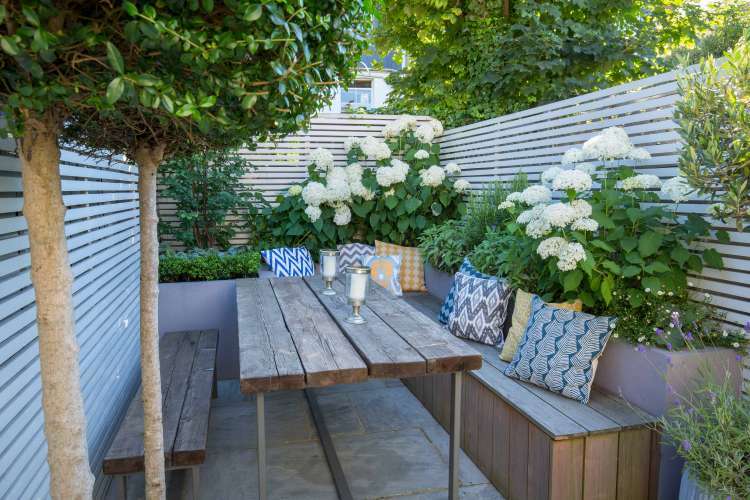 In the dining area we used hard wearing enhanced grain ‘Millboard’ decking which is non slip and has an authentic, natural appearance. 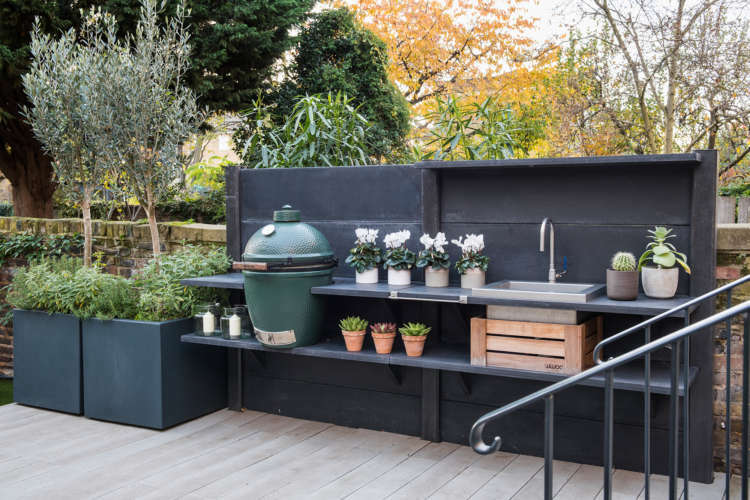 This lifts the area and contrasts against a dark concrete kitchen accommodating a sink and ‘Big Green Egg’ with shelves and lots of prep space that can easily be cleaned down. 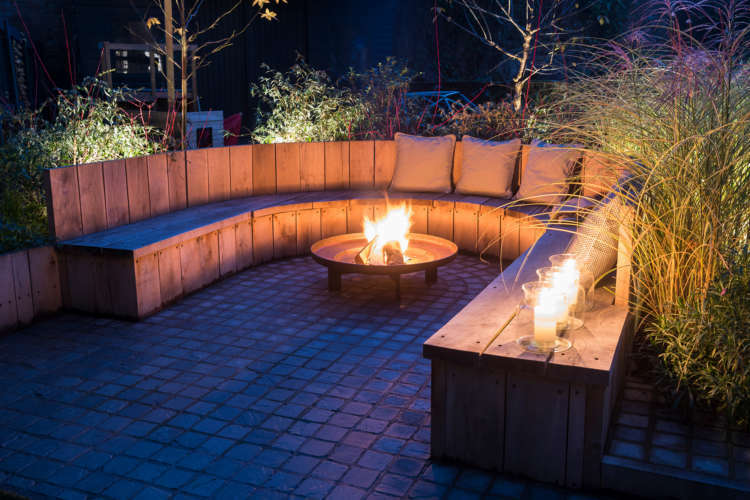 Our team built and bespoke long built in bench and we sourced a bespoke hardwood table to match that can easily accommodate 14 guests. 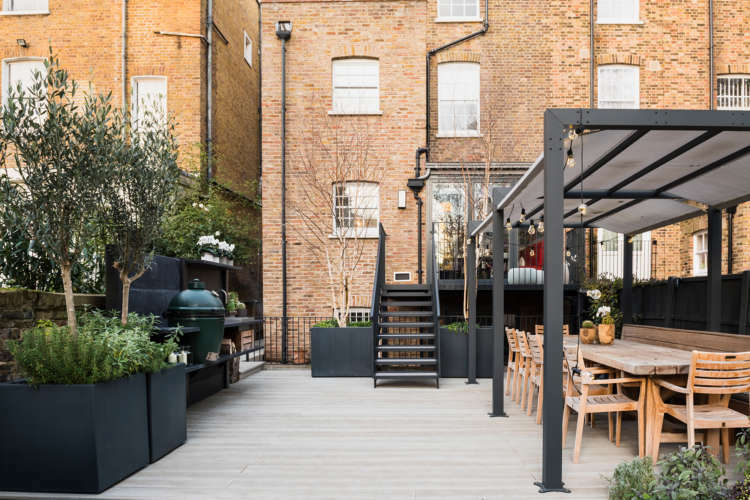 To extend the use of the outdoor seating we included a covered pergola to keep strong sun, leaf debris and light rain away from the table. 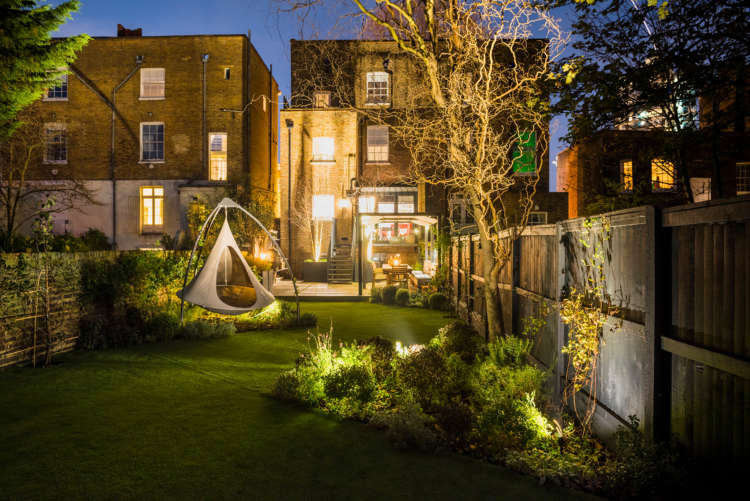 The lawn has been designed to provide as much useable play space as possible whilst creating enough robust planting to create a journey through the space and make the garden appear wider than it is. 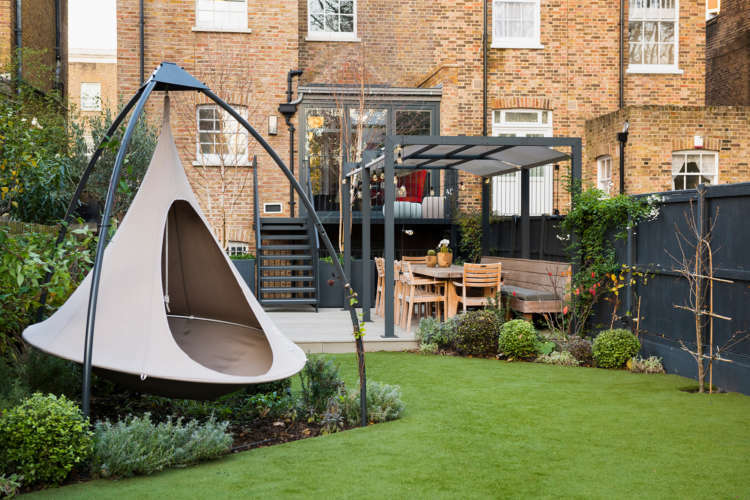 One of the borders even includes a ‘Cacoon’ hanging chair that gently swings above lavender for more chilled out times in the garden. 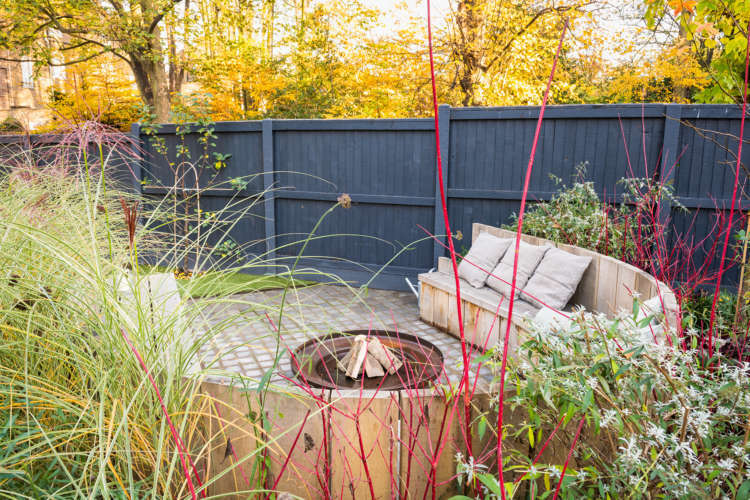 The rear of the garden hosts a firepit with bespoke oak bench surrounded by tall nectar rich flowers and grasses to encourage wildlife and create a transparent screen into the play area with pirate ship and stepping stone logs. 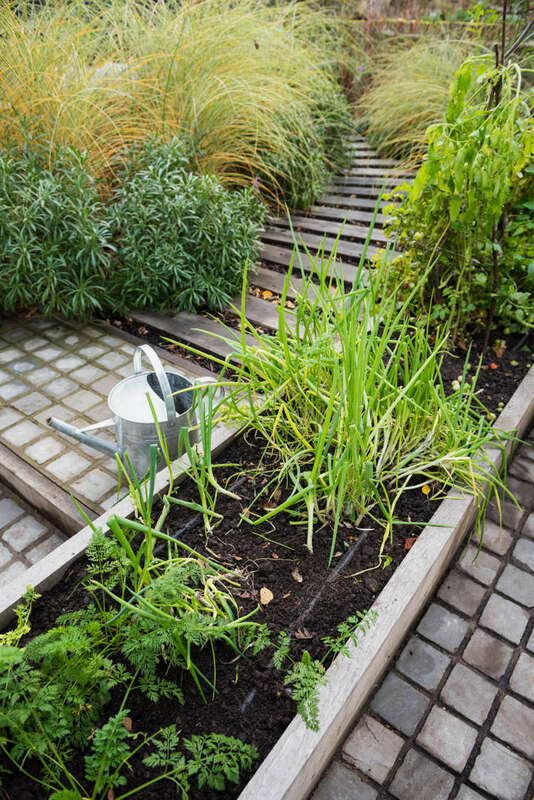 The remainder of the area has been planted with fruit bushes and trees as well as manageable raised beds for growing salads and vegetables. 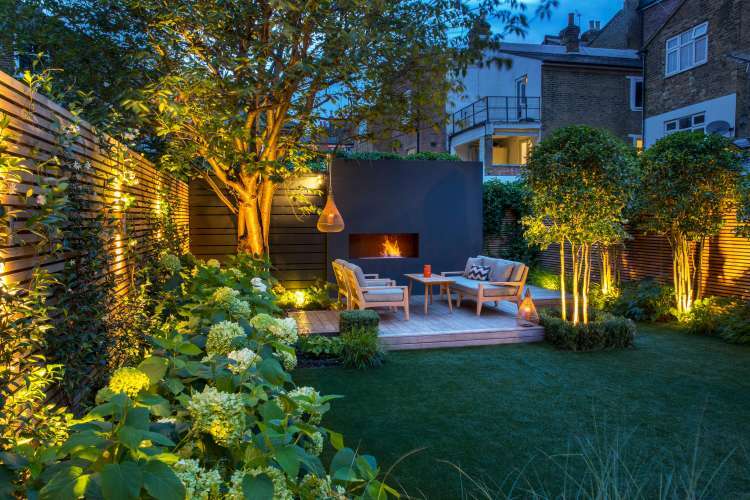 This garden is a space that the whole family can enjoy with friends and family for many years and as the garden grows is will develop a greater sense of journey and character. 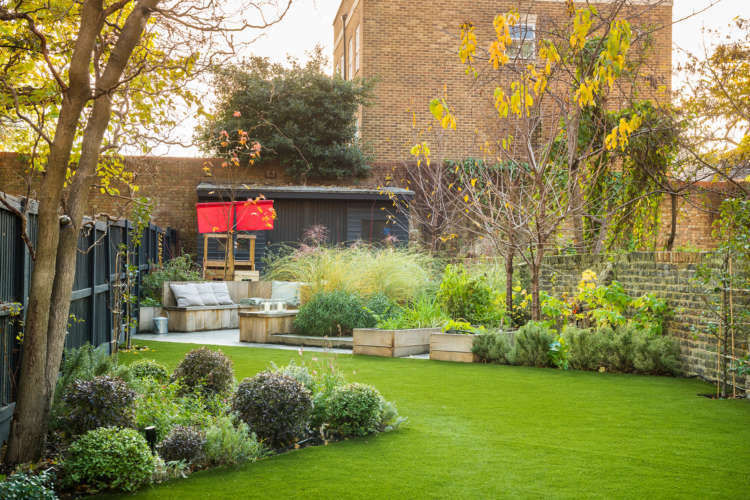 The garden provides interest all year round and these images have been taken in winter just 10 months after the initial planting. 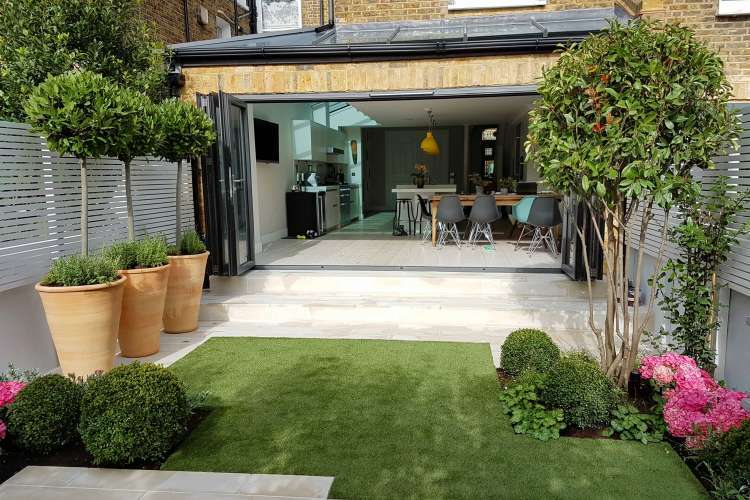 A beautiful yet very useable and practical space has been created and has added a valuable addition to this family home.